It brightens up teatime, is happily dunked in all manner of hot beverages and sustained the entire Royal Navy for many an intrepid voyage. 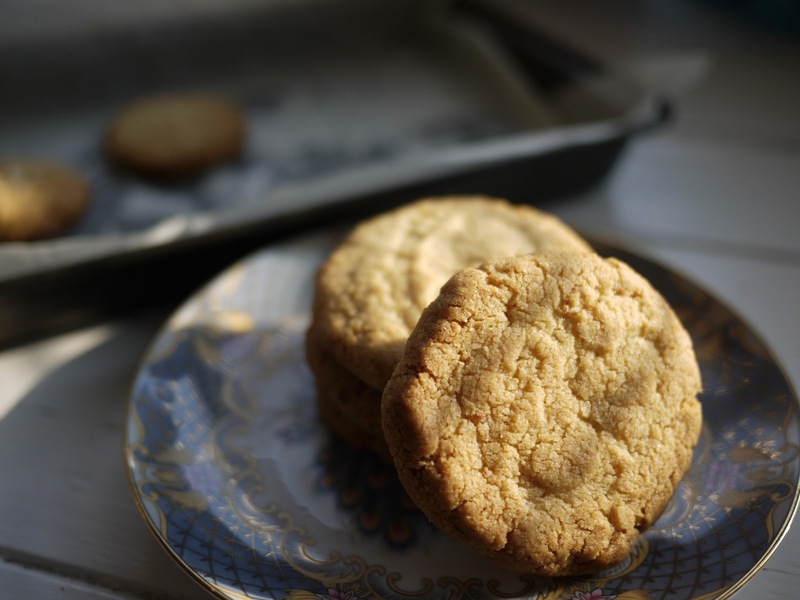 This months Tea Time Treats blogging challenge, hosted by Karen, is, you guessed it, biscuits. I deliberated for some time (the entire final episode of MasterChef infact) what to bake. 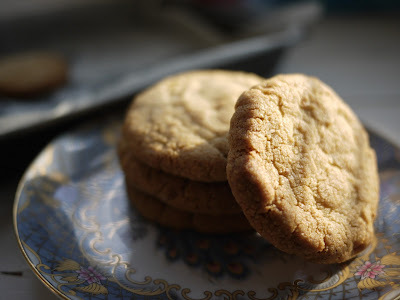 I toyed with the idea of baking an All-American Cookie. For a while, a fancy iced biccie was on the cards. Then I thought to recreate one of those paper-tasting Pink Wafers that everyone always leaves behind in biscuit selection tins. 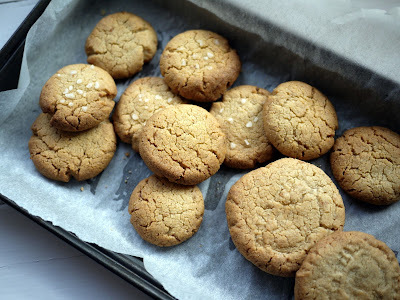 Then I stumbled upon a very popular biscuit recipe by the Hairy Bikers for Lemon and Cardamom Biscuits. A trip to Norway inspired the Hairy Bikers to bake these biscuits. The addition of cardamom provides a warm sweet-spicy flavour. While I wouldn't got as far as saying it was an experiment that changed the world (I'm certainly not comparing my experiment to Darwin's Orchid or the Smallpox vaccination, for example). But it was a terrifically tasty biscuit. The biscuits last up to seven days. Try seven minutes at our place. I'm not the only fan of BBC's Hairy Bikers, Dave and Simon. Delia, in a recent interview with the Radio Times, said they made cooking not only funny but made viewers want to make the dishes they cooked. Here's one converted viewer for certain. It's very hard to beat a good biscuit - I don't drink tea for dunking but I reckon that means I can have an extra biscuit, right? Look a lovely texture - I'm a bit funny with anise, if it's over powering I can't cope with it! i do love it when recipes say "keeps for X days" too - what, is no one eating them?! these look like good tea-dunking biscuits. i haven't made any spicy bisuits for a long time, must get onto that! Oooh spicy biscuits I like the sound of that. Sounds like a great combination of flavours.